One man that has been on the frontline of climate change policy issues for the past 30 years is Steve Anderson, well known to CCN readers as the former executive director of Refrigerants Australia. He reflects on the growing partnership between industry and government. 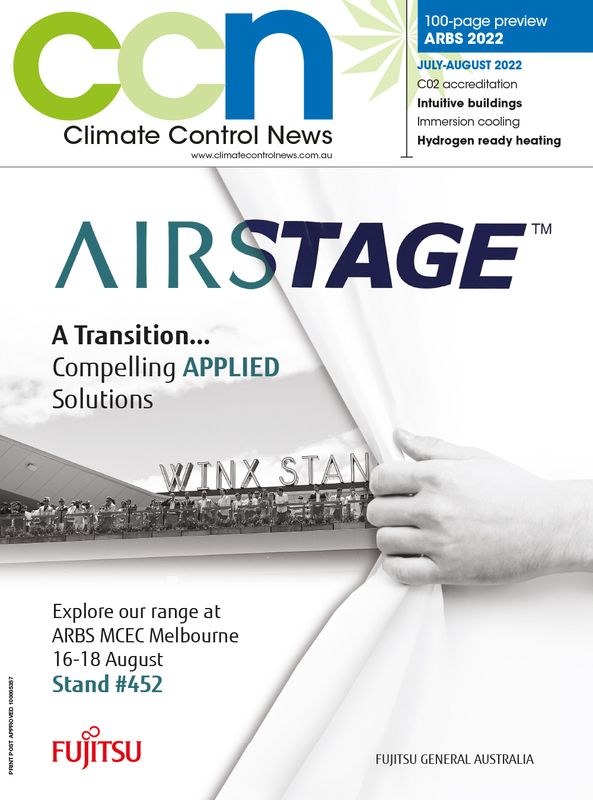 Over the past 30 years, the Australian Government – in close collaboration with industry - has developed world leading initiatives on refrigerant policy covering both ozone depletion and climate change issues. However, initially Australian policy developed haphazardly and the outcome was far from inevitable. As scientific understanding of ozone depletion advanced during the 1980s, it increasing concerned the public and state politicians saw the opportunity to lead on a popular issue. The Federal Government proceeded more cautiously, conscious of the need to be an effective part of the emerging international consensus. Throughout the 1980s, Australia was represented at international meetings by officials from the Department of Foreign Affairs from whatever embassy or high commission near wherever the meeting was being held. The need to have officials that understood the scientific, industry and policy issues associated with ozone depletion was simply not acknowledged. Industry wanted a national response to ensure both consistency of approach and to provide longer term certainty regarding policy. It pushed the Federal Government to send Canberra-based experts, particularly from the Environment Department, to the international negotiations, given it was those officials who would need to lead a national response. Industry even had to provide the funding for the first such Commonwealth official to attend international meetings. This political dynamic changed during the 1990s for three main reasons. Firstly, there was a consumer backlash on the use of ozone depleting substances in aerosols. In response to this public pressure the then Aerosol Association brokered a ban on CFC use in aerosols. This required engagement with, and involvement of, the Federal Government. As part of this process, Paul Fraser of the CSIRO had been actively engaged with the Aerosol Association. That close engagement – followed by him working closely with the refrigeration and air conditioning industry - resulted in industry accepting both the science and the need for changing technology. This reduced time and acrimony in planning policy responses that, while economically and technically challenging, were clearly necessary. Lastly, there was significant confusion on the regulatory landscape. The states independently developed broad and diverse range of approaches, many of which were effectively unworkable. The Commonwealth Government eventually recognised the cost to industry from this dysfunction and decided to impose import level and some end use controls. Additionally, to better ensure national consistency, a committee was established that was led by the Commonwealth and included New Zealand and all of the states and territories, as well as a wide range of stakeholders. This body managed to corral many of the “seat of the pants” ideas which emerged and worked towards a nationally consistent approach. By the late 1990s, the states were losing interest in ozone policy, while the Commonwealth Government concurrently increased its engagement internationally, based on a non-partisan, scientifically based policy. The review of the Ozone Protection Act in 2001 was a pivotal moment in the development of Australian policy. It showed that while the cost of policy to protect the ozone layer had cost 1 billion dollars to date, the benefit was 7 times larger. Further analysis demonstrated that significant further benefits would be achieved if the legislation was extended to HFCs used as replacements of ozone depleting substances; if the Commonwealth managed all of the legislation centrally; and if it also managed end use controls. These reforms were delivered with revisions to the Ozone Act in 2003. The increased political interest in climate change from about 2005 shifted the policy landscape again. There was an increasing focus on using emissions trading to manage climate change emissions by public servants who had no knowledge or interest in how both ozone depleting substances and HFCs had been successfully managed for well over a decade. There were focused on economy-wide responses and operated from the naïve belief that every economic sector could be managed identically. They refused to even engage the industry in genuine dialogue. Despite industry publicly supporting an HFC phasedown from 2007, a carbon price was introduced in 2013, and then repealed in 2015. This ill-fated exercise was driven by ex-Treasury bureaucrats with no understanding of the industry, who tried to impose a ‘one-size-fits-all’ approach, straight out of a first year economics textbook. This policy experiment failed dismally in managing refrigerant emissions and only resulted in confusion and turmoil. Any environmental benefits were far overshadowed by market confusion, turmoil and pain.